The Professional Development Committee of the GSA is holding an Elevator Pitch Competition & Research Mixer on Friday, March 27th. 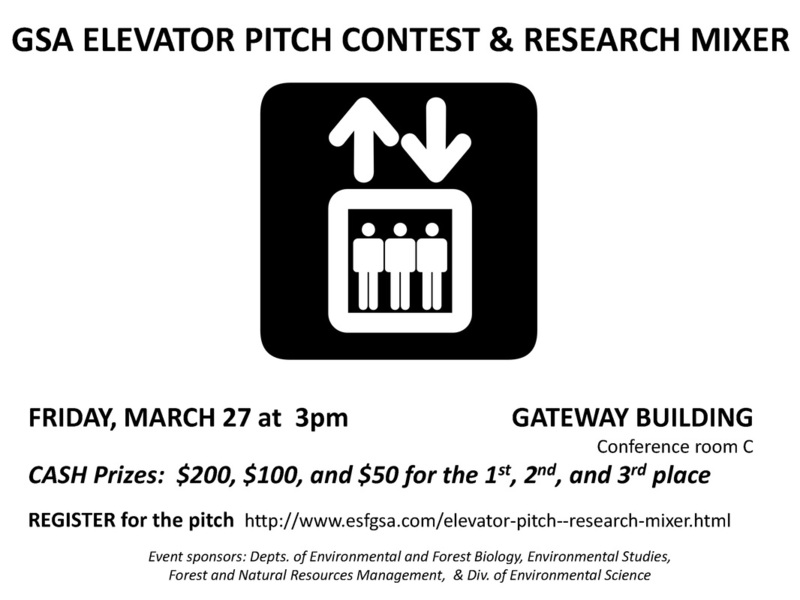 Please indicate your intention to enter the Elevator Pitch Competition using the form below. Before the day of the event, please take a moment to take a look through our guidelines.